Episode 645 – Broadway Birthday Gift Packaging Video Tutorial! I have a quick video for you today showing you how to make a simple belly band for gift packaging. Don’t forget that you still have until Thursday to order for my Platinum Party Promotion! 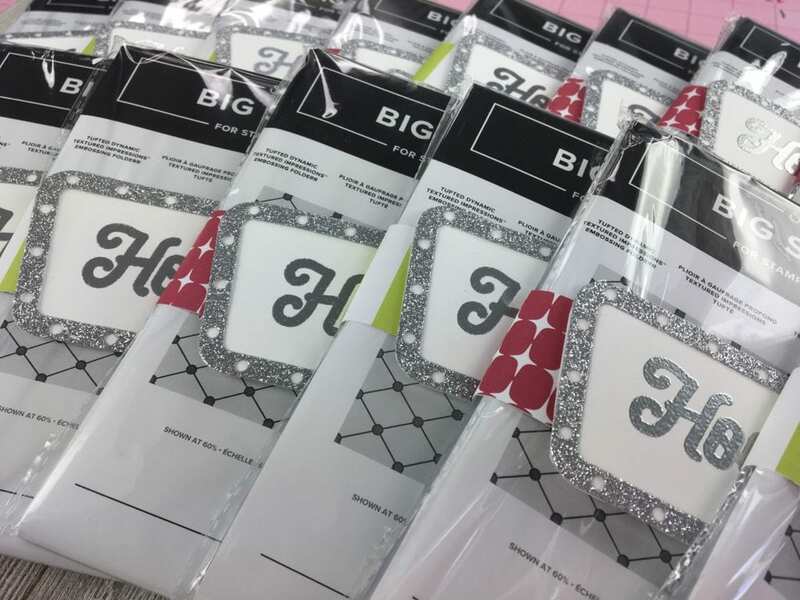 *Order $50 HERE using Host Code AXJK2GEA and I will send you a FREE package of Twinkle Adhesive-Backed Sequin in your thank you package with my homemade card! 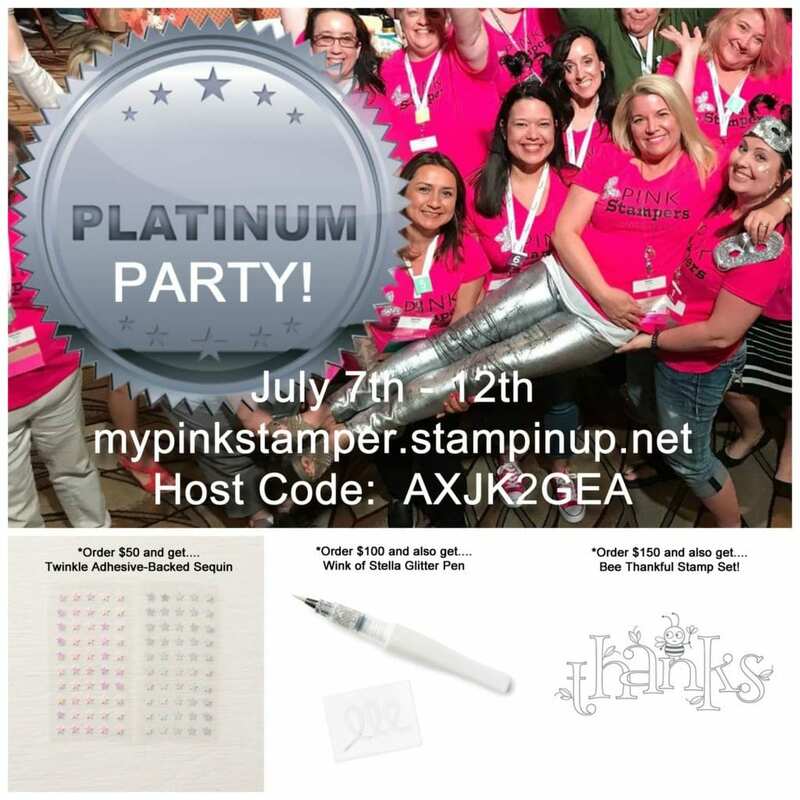 *Order $100 HERE using Host Code AXJK2GEA and I will send you a FREE package of Twinkle Adhesive-Backed Sequin AND a FREE Wink of Stella Pen in your thank you package with my homemade card! 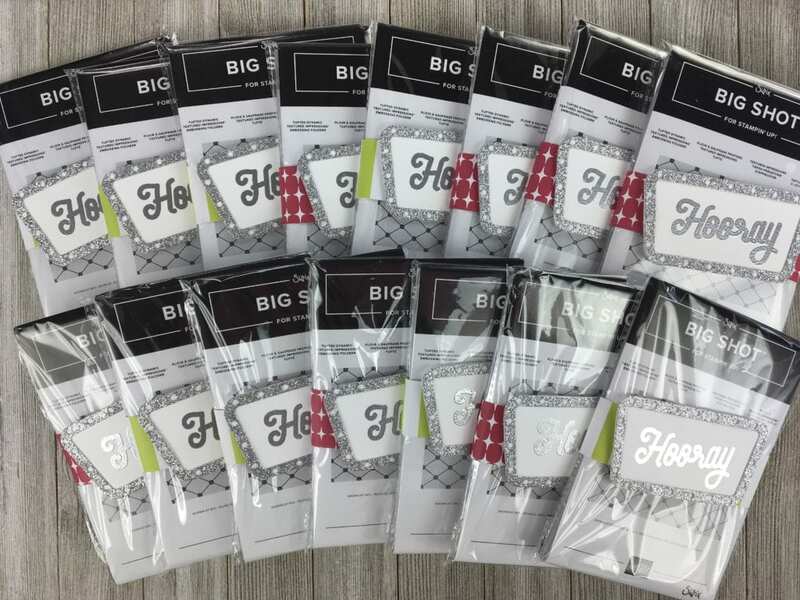 *Order $150 or more HERE with NO HOST CODE and I will send you both of the above along with a FREE Bee Thankful Stamp Set in your thank you package and you will also get to choose all the host rewards at checkout! **ALL NEW CUSTOMERS WILL ALSO RECEIVE A FREE CATALOG IN THEIR THANK YOU PACKAGES! Order $50 or more and I will also invite you to join my EXCLUSIVE VIP page where I will be doing more goodies to celebrate my HUGE promotion!! 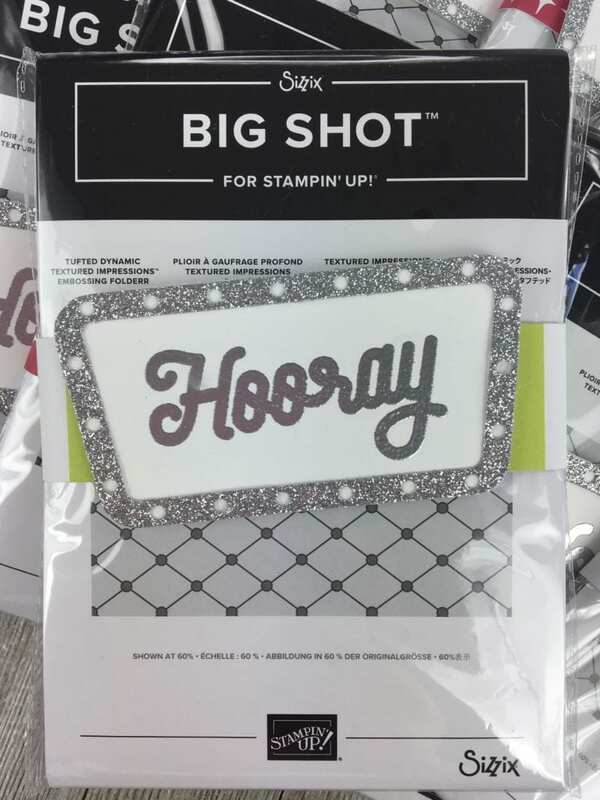 Thank you for all of your support during these 3 years since I’ve been back with Stampin’ Up! I truly appreciate YOU! « My Pink Candy Project Bag Giveaway & Big Shot Winner!! I have always loved watching the embossing powder melt! Magical! This is a cute & simple idea. Thanks for sharing!